Roger joined B&F Engineering in June, 2000 after graduating from Westark College, now University of Arkansas at Fort Smith. 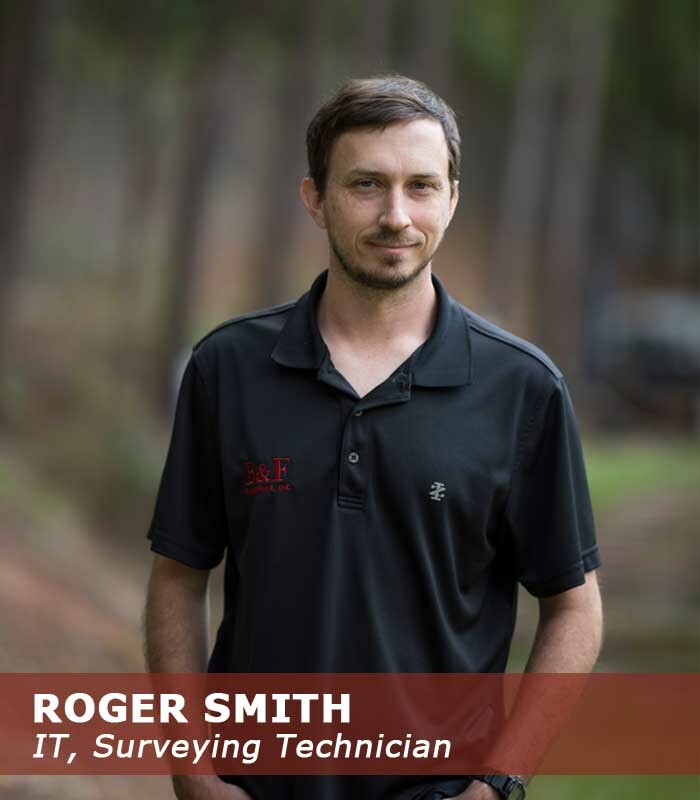 Roger serves B&F as an Engineering Technician and network Administrator. With his CADD background he thoroughly understands the use of Civil3D and Microstation drafting software. Roger is a native of Mount Ida/Story, Arkansas. He attended Mount Ida High School. Go Lions! Roger and his wife Samantha have four children. He loves to spend time in the outdoors, watching football, Coaching and playing basketball, and spending time on his farm.